Dattatreya Jayanti is also known as Datta Jayanti and it is celebrated to commemorate the birthday of Hindu God Dattatreya (Datta) who is seen as a Trimurti Avatar – the united and single incarnation of Brahma, Vishnu and Shiva. Dattatreya was born as the son of Atri Maharshi and Anasuya. Datta Jayanti 2018 date is December 22. It is observed on the full moon day in the month of Margasheersh as per traditional Hindu calendar. 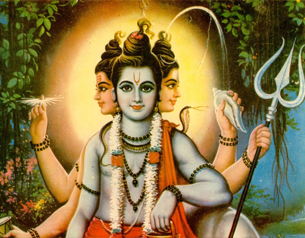 Dattatreya Jayanti is also called Datta Jayanti. 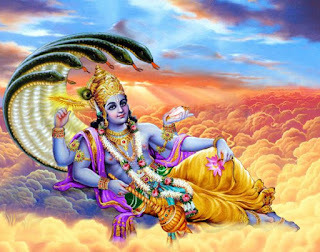 Dattatreya narrated the secrets of Vedanta to Lord Subrahmanya and this teaching later came to be known as Avadhuta Gita. Dattatreya is worshipped in many places in India. The day is marked by special pujas and satsangs. Worshipful homage unto Dattatreya, the Trimurti avatara, the divine son of the austere and illumined Sri Atri Maharshi and sati sadhvi, mahapativrata, Rishi patni Sri Anasuya. May the benedictions of this divine couple be upon all married couples, in all countries, throughout the world. He is a supreme yogi.. The Shankh represents the divine sound and is believed to provide knowledge and spiritual expansion. The Chakra stands for time and represents the fact that life is a combination of both good and bad times. The Trishul represent triple energies of materialization, spirituality and the third energy that maintains a balance between these two. The Kamandal represents a little port containing water and it signifies that Lord Dattatreya is actually the carrier of life on earth. The Begging bowl signifies that the individual should donate his pride, negativity, ego and evil thoughts and should remain free from these evil energies. Thus, all these six things signify the important facts of life that should be followed by the individuals to live a happy and problem free life. Other prevalent types of devotions are – singing bhajans (Holy songs) and pūjā (ritualistic worship).